Music and sound have always been powerful tools for accessing our subconscious and non-rational thinking processes. Music is full of emotions and powerful rhythms to which our bodies and brains naturally attune themselves. This is called entrainment. Many natural sounds have the same power. This why the sound of waves on a shore is so soothing and relaxing. Our bodies slow down to match the pace. Music and sound have the capacity to let us go within and at the same time connect us with others and the world around us. Music can bring the rabble and disarray of a large group into a common rhythm and intention with lightning speed. It can be both mesmerizing and energizing. When I play music, especially improvised music, I become present and in the zone. I sometimes say it is like meditating but it is not quite the same. The experience can be full of passion, beauty, excitement and a whole range of emotions from dark to light. Certain types of music have the capacity to take us to a state that is ideal for meditation. Music can provide an effective and fast access to meditation. Musical sound is so effective altering our physical and conscious state because it can travel right through your body and impact it at a cellular level in addition to affecting our mental thoughts and feelings. When music contains the right combination of beautiful sounds, harmonies and rhythms, it has a powerful effect on our brains and bodies which essentially prepare it for meditative thought. This is why the majority of my clients finish an Under the Piano session in a state completely different from before the experience. For about 45 minutes, their bodies, which includes their brains, have been enveloped, cocooned, massaged and suffused with the vibrations and rhythms of beautiful sound and music. 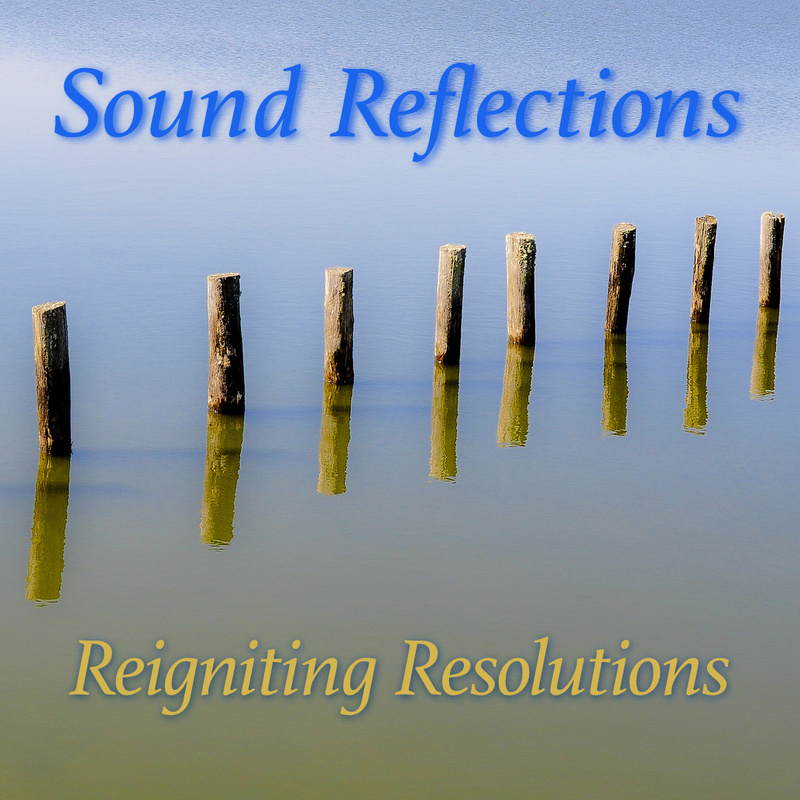 Monika Becker, of Clear Directions, is a coach with soul. She is interested in tapping into the subconscious as an access to having a life that works on all levels. Monika has developed a unique and magical experience which she calls “Reflect & Connect”. I attended one of Monika’s sessions and was struck by the fact that it is essentially a guided meditation. It encompasses both rational thinking and right-brain thinking. Some of her sessions have a particular theme to explore. In some, you choose your own topic. I started by identifying a topic I would like to contemplate in the session. Each participant chose their own topic. We then did some rational thinking about the topic. But as the process unfolded I realized and experienced being guided away from my pervasive left-brain rational thinking into another realm. In the end I gained new insights into my topic and felt peaceful and relaxed. Monika had come for an Under the Piano session previously and an idea emerged. What would happen if we married the experience of Under the Piano with her Reflect & Connect experience. We found a willing couple to participate. Jared Minty and Rejeanne Bischoff arrived at my studio. We started with a brief conversation. Then we did an Under the Piano session in which Monika guided them through a series of questions just as in her regular Reflect and Connect sessions. After each question, I created music appropriate to the inquiry and to deepen and enhance the subconscious and physiological experience. The experiment was successful, and it was clear that the music contributed to the exploration. 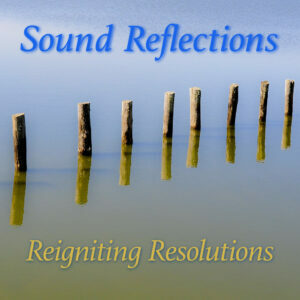 On February 10, Monika and I are offering “Sound Reflections: Reigniting Resolutions”. Well be exploring your plans and resolutions for 2015. We’ll explore them rationally and then Monika will guide you into your subconscious with a series and questions. The music I improvise during the experience will deepen and enhance your inquiry and facilitate accessing your subconscious thoughts. Visit this page to learn more and to register for the event.